Man what a morning so far. Unless you live in a cave I'm sure you've heard about the new bill Congress is trying to pass- well two new bills, SOPA and PIPA. Basically (and very very simply speaking) what could very well happen if these bills were to indeed pass is this: sites all over the internet could be banned or blocked, without a trial/court hearing if they (with knowledge or not) had anything on their site that was copyrighted. Now I know what you might be thinking, "Cool! Yeah! Stop Piracy!" and believe me, I'm all for that as well...but what's not cool is the "with knowledge or not" part. Meaning if a little blog posted let's say...something they loved off of Pinterest...and didn't know the absolute first source this particular thing came from...and wrote a little blurb about it stating how cool or beautiful it was with only a link back to Pinterest...and then creator of that particular thing saw their site and didn't like not being credited- that blog could be banned...blocked. Not only little ol blogs...but all those wedding blogs we frequent daily and drool over every morning over tea. Yeah those could be blocked too...without notice...for things like showcasing a photographer's latest wedding that had a picture of an invite so neat- people all over starting pinning and talking about it over the internet. Now this wedding blog doesn't know that the artist who did the invite actually STOLE someone else's idea, so they credited the amazing piece to that first copyrighting artist. Fast forward to the actual artist who originally DID do the piece...she/he sees this...sees it's credited to someone else...gets upset (rightfully so) and complains...BAM every single site that showcased this "amazing" invite crediting the "not so legit copyrighting artist" as the original artist will be banned. Every single site. I'm really bad at explaining things like this...but this wonderful blog is not...check this out and read what I mean...It's sort of ridiculous. So ridiculous that many sites, over 7,000, have gone on strike. Have you seen Google...or Wordpress...or Wikipedia lately? If you feel as strongly opposed to these bills as I do, you can send a letter to congress easily and totally stress free (YAY!) through sites like this one and this one telling them to stop the bills. I took a stand...have you? 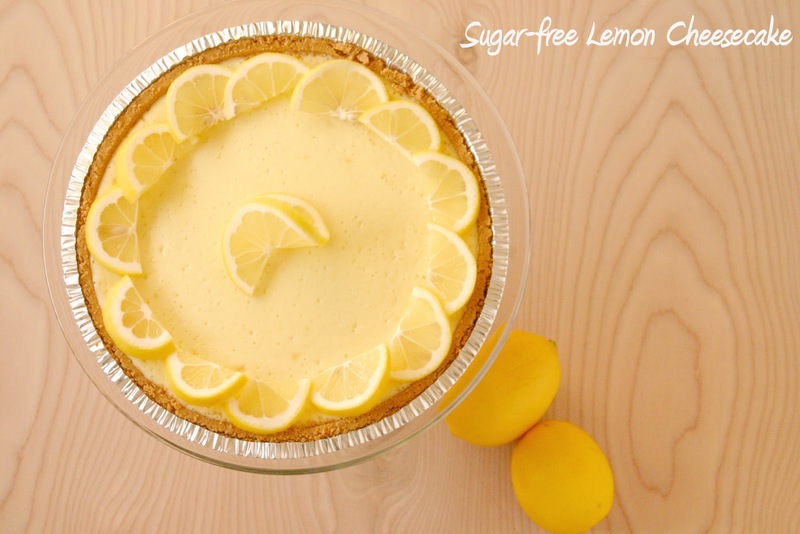 Let's get to talking about sweet things...lemony...delicious...cheesecakey sweet things to be exact. It was my dad's birthday on the 10th. Since he is diabetic, every year I try to bake him something sugar-free or no-sugar-added, so he can enjoy a dessert. It's gotten to be quite the challenge these last few times-mostly because 1. I don't want to repeat a dessert I've made in the past and 2. I want a healthy sugar substitute to use, in place of sugar (ahem NO SPLENDA PLEASE!!). Usually I'll bake something that needs no sugar at all (i.e: apple pies)...but when it comes to his favorite (cheesecake and anything lemon), you kind of have to have that sugary yumminess involved. Now the rest of us in the family are not diabetic, but that doesn't mean we won't partake in these non-sugar delights. So they have to be so good, we "sugar-eaters" won't miss the real thing. Actually if we're going to talk on real terms for a second- my husband and I are always trying to cut out the white stuff from our diets anyway (me more than him). So I'm happy to say these types of desserts are a good option for diabetics and those wanting to eliminate sugar from the diets- AND still have the opportunity to eat scrumptious desserts! I've done this recipe before using stevia, and it came out...okay. I've been wanting to try out this new bag of xylitol my mother in law gave me a while ago- so I figured this was the perfect time! The great thing about this xylitol- it's basically measured cup for cup in place of sugar! Rock on xylitol! In case you have no idea what xylitol is...let me clue you in! It is a natural sweetener that comes from the North American hardwood. It is a low-glycemic sugar and is also metabolized in a way that is safe for diabetics and anyone else wanting to cut that sugar out. Oh oh! I also wanted to say- I chose to use a disposable pie tin for this particular cheesecake both because I love cheesecakes in pie dishes AND because the remaining cheesecake (after we all gorged on it) would be taken home by my dad to snack on. I know it doesn't look the prettiest...but I didn't want to part with any of my ceramic pie dishes, so a disposable tin it would be! 2. Mix all ingredients together, then firmly press along sides and bottom of a 9" pie dish. 3. Bake 10 minutes. Remove and set aside. 1. Keep oven at 325*F.
2. In a food processor (or mixer), cream cheese and xylitol together. 3. Mix in yogurt and vanilla. Scrape down sides and bottom of bowl. 4. Add lemon zest and juice- beat until combined. Scrape down sides again. 5. Add eggs, one at a time- scraping down sides after each addition. 7. Bake in a water bath, at 325*F, for 45-50 minutes. Then check every 10 minutes. It is done when the cheesecake is firm, with a slight jiggle in the very center. 8. Remove carefully and cool completely on counter. Transfer to fridge and cool until chilled. Low salt and also sugar dessert?